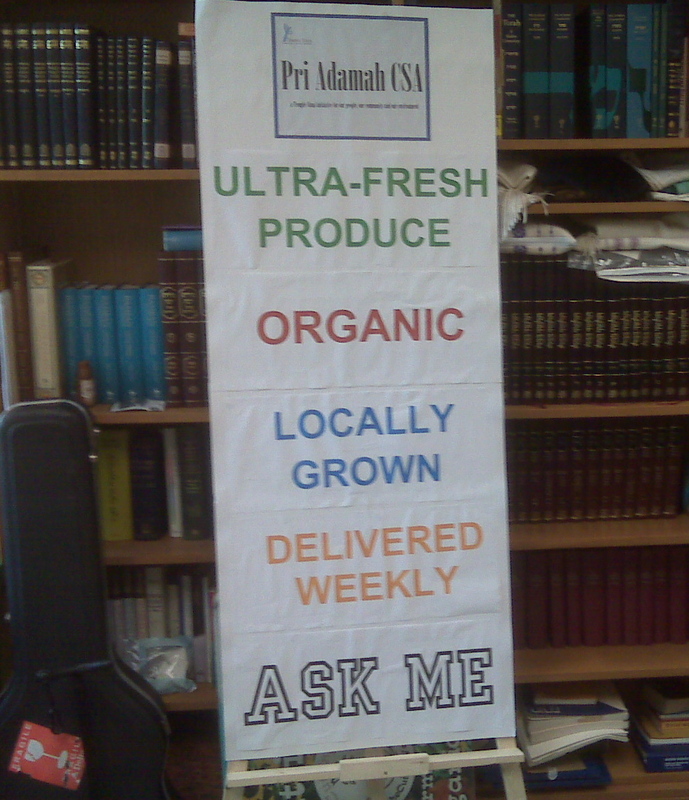 Look at this new awesome sign that one of the social action committee members made for Pri Adamah! Thank you JY! In case you were curious, we now have 19 CSA members and we are well on our way. Have you signed up yet? Remember you can get the forms here!